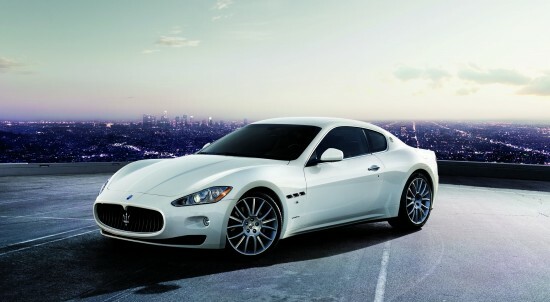 The Maserati GranTurismo is everything an Italian super coupe should be – elegant, sophisticated and glamorous. It offers terrific levels of comfort – with space for four – and is enjoyable to drive. As far as running costs are concerned, bills for the Maserati GranTurismo will be relatively high as average fuel economy falls below 20mpg anytime the accelerator pedal is grazed. The cabin is a delightful place to spend time in and is obviously put together with great care. The driving position is electrically adjustable so all shapes and sizes can easily get comfortable behind the wheel. There are a lot of features on the car so the dash is busy and some of the stereo and sat-nav controls can be a bit fiddly to use. The Maserati GranTurismo is a practical option when it comes to carrying four adults – with back-benchers surprisingly well catered for even if they won’t quite be stretching out. The boot capacity though will limit the amount of luggage they will be able to pack away. However those buying a high performance coupe rarely put at the top of their list of wants the ability to lug packages and people. Modern Maseratis hold their value better than many, making the GranTurismo less expensive to run than some in this class. This is where the Maserati GranTurismo holds all the aces combining beauty, style and charisma in a package that just can’t be ignored when you take it for a drive. The exterior is eye-catchingly gorgeous while the interior doesn’t let the side down when it comes to cosseting the occupants in a luxury setting. This car is begging to be driven across a continent as it combines comfort with excellent handling thanks to near-perfect weight distribution, little body lean and good levels of grip. This means that it isn’t just a pretty face and will cut the mustard when there’s some serious driving to be done. The steering offers pinpoint accuracy giving a good feel for what is going on on the road. The suspension is firm but not bone-jarringly so. It gives the car an edge but not to the extent that its role as a grand tourer is undermined. Cars of this ilk shouldn’t batter your ears on the long journeys and the GranTurismo generally meets this goal. The big tyres do create some road noise and the engines are audible on the motorway, but around town the power units emit a pleasant rumble. If you’re a fan of the environment then the Maserati GranTurismo should best be avoided as it is a thirsty car emitting levels of carbon dioxide guaranteed to make a rain forest swoon. There’s little the Maserati GranTurismo lacks when it comes to warding of car thieves. A vehicle tracking system with automatic driver recognition and remote inhibitor back up the immobiliser and alarm to provide the car with formidable defences. The GranTurismo has a raft of electronic gadgets to help avoid an accident along with the latest airbag and belt pretensioner technology to protect if one becomes unavoidable. The Maserati GranTurismo is extensively kitted out – but the Italians ensure there are a few exotic options available should you want to part with any more cash including coloured brake calipers and a wooden-rimmed steering wheel. Leather upholstery, climate control, satellite navigation and electrically operated windows, door mirrors, seats (it’s probably easier to name something that is not powered) are standard. The stereo is good and hits the heights with the optional Bose surround sound system. Maserati’s beautiful GranTurismo coupe is one of the most exotic performance cars you can buy for under £100,000. It is a big step up on the previous Maserati coupe offering as it does a far more polished proposition. The GranTurismo is fitted with amazing engines that do their work in a relaxed fashion with the power delivered through a silky smooth six-speed transmission. Three models are available. They include the 4.2-litre GranTurismo, 4.7-litre GranTurismo S and the GranTurismo S Automatic. The entry level model is the 4.2-litre while the S is a 4.7-litre 434bhp machine that is set up to offer the ultimate driving experience with a firmer suspension and rapid acceleration. The S Automatic plugs the gap between the two but is no makeweight as it is a top class cruiser with impeccable road manners. By admin in Cars, Top Car on July 29, 2014 .